Spartina alterniflora, the dominant plant of Atlantic and Gulf coast salt marshes in the United S tates, is introduced in China, where it has spread to occupy a geographic range similar to that in its native range in North America. Liu et al 2017, Provenance-by-environment interaction of reproductive traits in the invasion of Spartina alterniflora in China, Ecology 98(6):1591-1599, show that, in China, plants at high latitudes are morphologically different and set more seed than plants at low latitudes. Common garden experiments showed that the morphological differences are largely plastic, due to environmental conditions, but that the differences in sexual reproduction are genetic but expressed most strongly in high-latitude gardens (hence the provenance by environment interaction). In the field, the mechanisms of invasion differ by latitude: Spartina spreads by seeds and seedlings at high latitudes but clonal expansion at low latitudes. 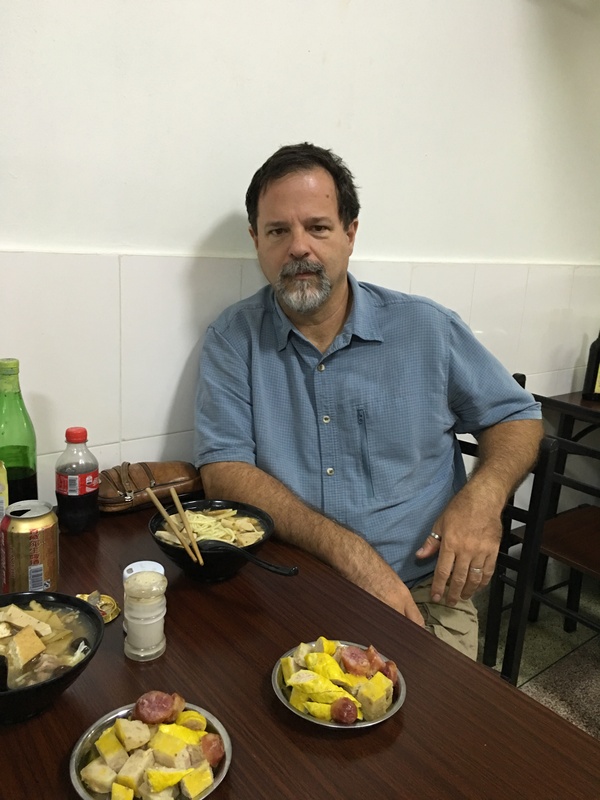 The lead author, Wenwen Liu, will be spending a year in Steve Pennings’ laboratory starting this fall, and hopes to learn more about latitudinal variation in sexual reproduction in Spartina alterniflora in its native range. Surprisingly, we know almost nothing about this topic. Pennings in special noodle shop. 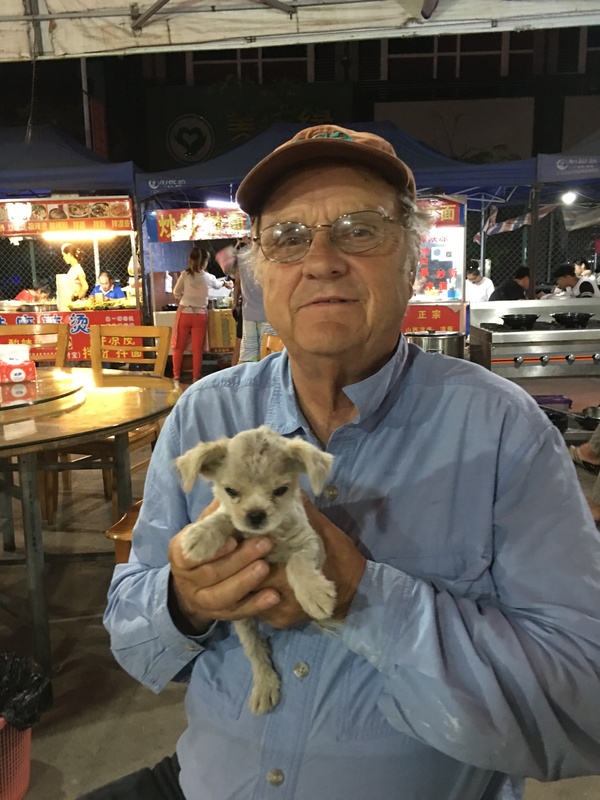 Strong contemplating fate of Chinese puppy. 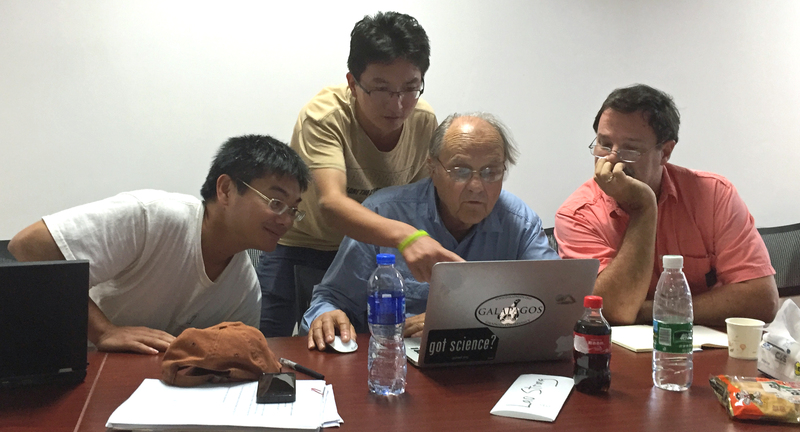 Zhang, Liu, Strong, Pennings editing manuscript.